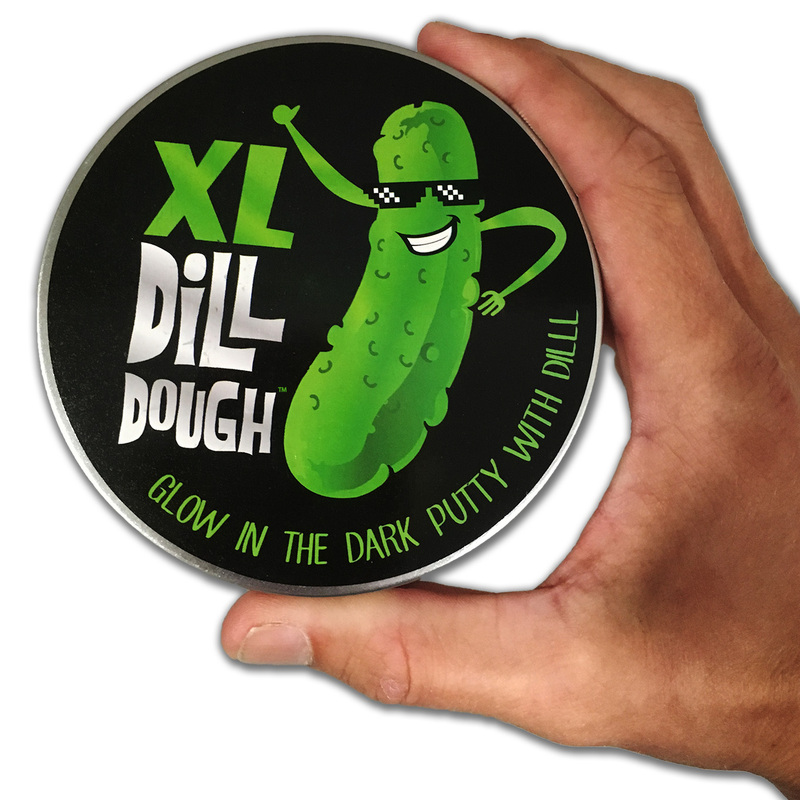 When you’re tense and need release, work that stress out the stimulating way possible – with your very own tin of XL Dill Dough™ Relief Putty! We’ve worked up a genuinely dill-lightful formula that is designed to start out stiff and work into a soft and satisfying dough in the palm of your hands. If you need to relax, work that big wad of Dill-Dough™ long and hard. This glow-in-the-dark, green stress reliever will soothe away your troubles and bring a blissful smile to your face. Squeeze it through your fingers and feel it loosen up in all its soothing glory. Never be ashamed to indulge in the sweet release of tension that can only come from an extra-large handful of our unique, dill-sprinkled Dill Dough. Go ahead, turn the lights out and enjoy! 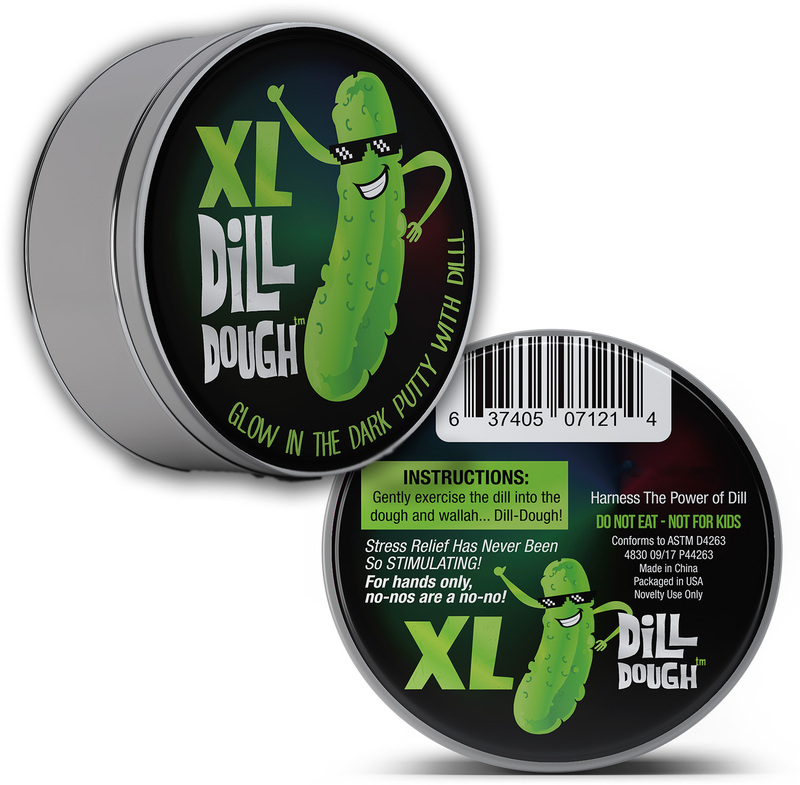 XL Dill-Dough Stress Putty glows in the dark for your added enjoyment! If you prefer to relieve stress with the lights off, flip that switch and get your squeeze on. The more light you feed it, the longer and brighter it glows! Pro Tip: For the best glow, leave your Dill Dough in direct, bright light. Trust us, it totally digs the extra attention, and the pay-off is oh so worth it! 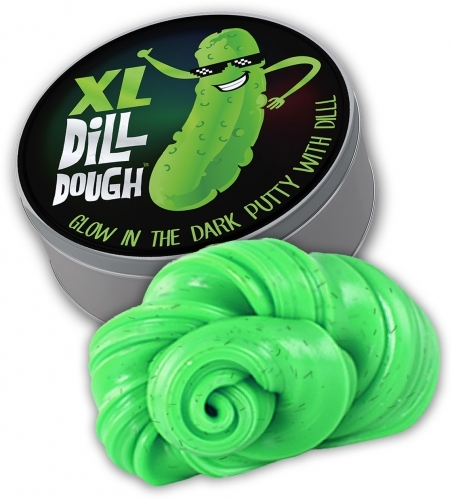 NOTE: XL Dill-Dough Deluxe Glow-in-the-Dark Therapy Putty is strictly for your hands! No-nos are a no-no, or you’ll really be in a pickle!